Many meat eaters revel in debating the various merits of consuming either a rib eye steak or a New York strip cut. Of course, some simply do not care and will scarf down either one. But there are differences between the two cuts. 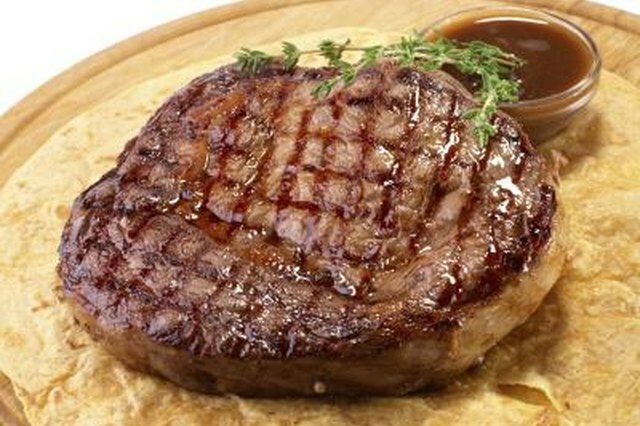 The rib eye steak is generally considered by foodies to be superior to the New York strip. This is because the rib eye comes from the cow's rib area. Cuts from the rib area tend to be fattier and more tender than others on the body because of the lack of exercise this region of the cow experiences. The New York strip steak comes from the cow's loin area. The strip steak, which is a steakhouse favorite, consists of a muscle that does little work, which keeps the strip relatively tender, but not as much as a rib eye. When buying a New York strip, you should buy one that is at least one-inch thick to keep it from drying out when grilling or broiling. Rib eyes come in either a boneless cut or bone-in. Many consumers consider the bone-in superior because of the rich taste cooking meat with a bone imparts. 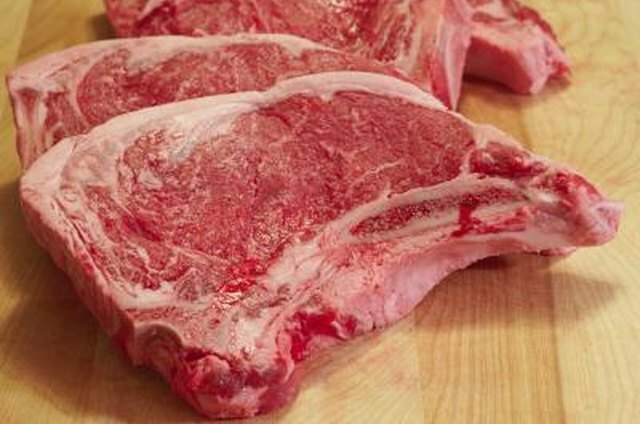 New York strips are boneless and their taste can vary depending on how the cow was fed. Grain-fed cattle produce beef that is fattier, with more marbling and is considered by many to be the tastiest. Cattle fed on a grass diet tend to have less fatty marbling, which while leaner, tend to be less flavorful than grain-fed cows. 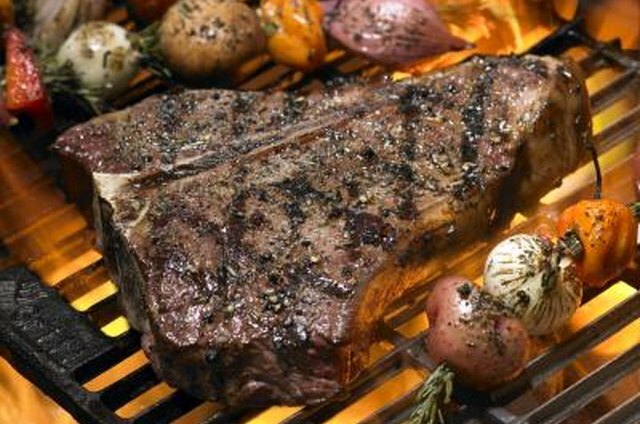 Rib eye steaks are also called Spencer, Delmonico, beauty and market steaks. 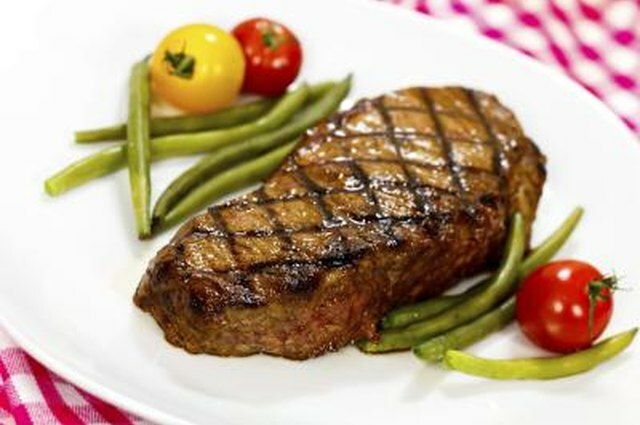 New York strip steaks are sometimes called Kansas City steaks, which are a slightly thicker cut than the standard strip. 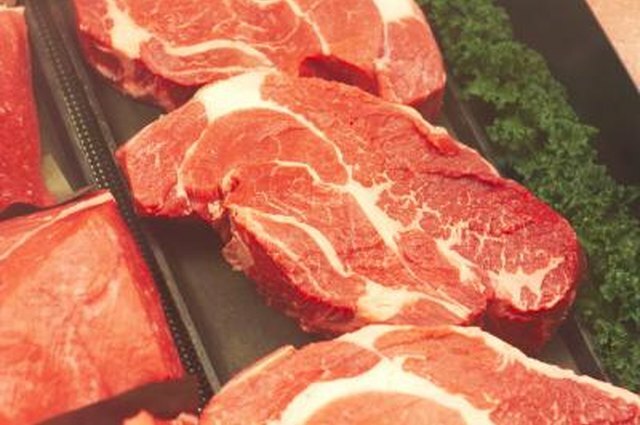 Whichever cut you choose, keep in mind the USDA beef grades. 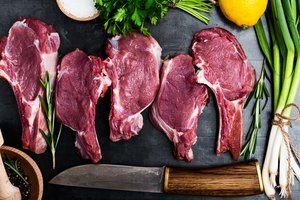 In order they are: prime, which is considered the best and has the most marbling and, thus, tenderness and flavor; choice, which costs less but still has plenty of flavor; and the cheapest, select, which has the least marbling and is the leanest, but also has the lowest amount of flavor among the three. A graduate of the University of Minnesota, Charles Fredeen is a writer with a love of politics and journalism living in Los Angeles. He has written four published books, including a biography of the journalist Nellie Bly. With more than 25 years of writing, he has also written numerous articles for publications, including the "Los Angeles Times" and "Los Angeles Magazine." 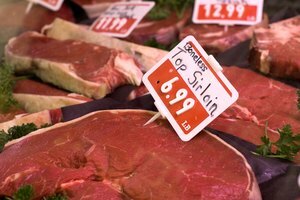 Is Bottom or Top Sirloin the Better Cut of Meat?